As I walked along the Thames, signs of works for the Thames Tideway Tunnel are appearing. These pictures were taken at the Victoria Embankment Work-Site. There is not much to see at present, but most of it is so the Tattersall Castle can be moved. When the tunnel is finished, the site will look like this. The main purpose of the site, is to connect the Regent Street combined sewer overflow to the main tunnel. 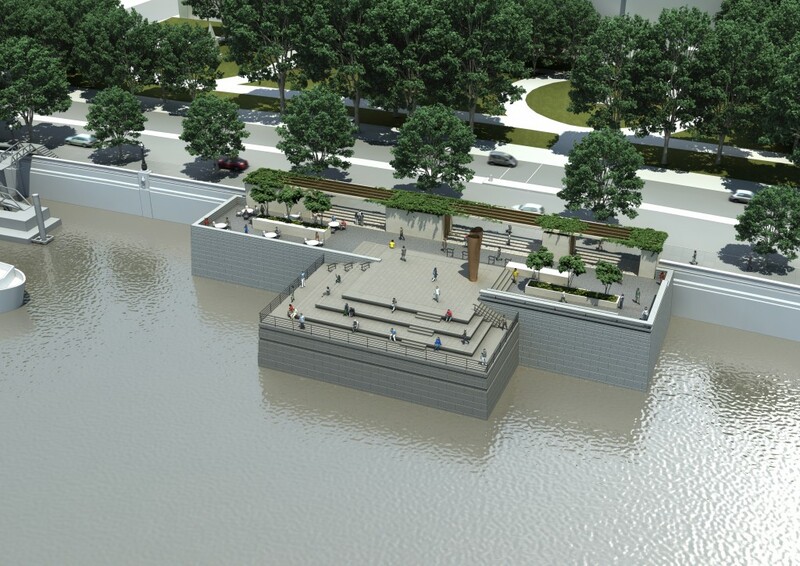 Anybody fancy a coffee, a drink or a meal in the sun by the Thames on top of the sewer outfall in 2021?